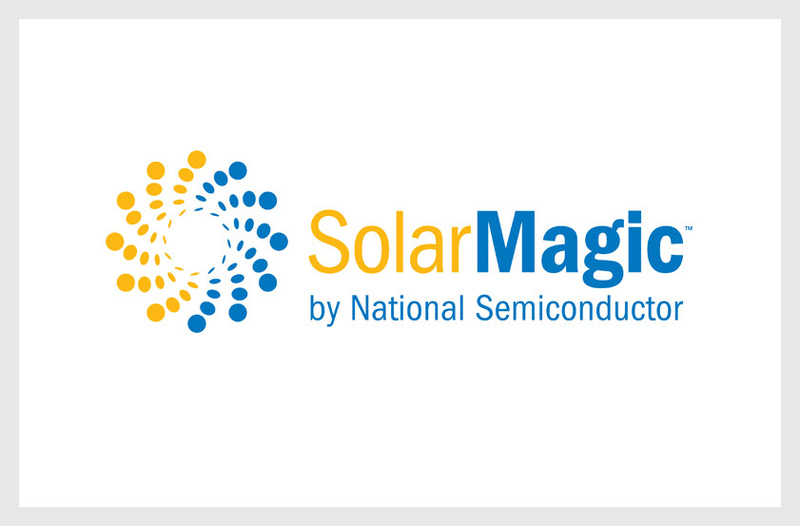 National Semiconductor’s SolarMagic power optimizers represent the semiconductor industry’s most advanced solar energy conversion technology, maximizing the effectiveness of solar panels. Our solution forms a progression of emanating silicon wafers to symbolize the technology’s ability to transform solar energy into electric current by multiplying the power of the sun. The alternating yellow and blue colors represent solar input and electrical output.